Some of the in room amenities offered are television room makeup mirror work desk wardrobe and attached bathroom hot cold running water.Laundry facility, medical services airport transportation are a few of the conveniences offered at Lotus Lodge. Doctor on Call, Family/Child Friendly, Baggage Storage on Request, Backup Generator, Travel Counter, Parking, Breakfast Services, Currency Exchange, Airport Transportation, Room Service. DVD Player, Iron/Ironing Board, Attached Bathroom, Bottled Water in Room, Wakeup Calls, House Keeping, Toothbrush/Razor on Request, Cable/Satellite TV, Air Conditioning Room, H/C Water. 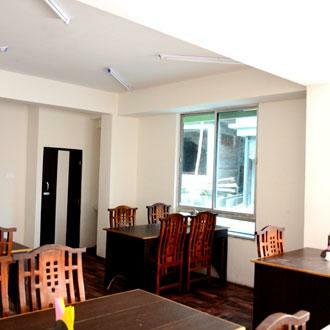 User reviews for "Lotus Lodge Gangtok"